At Talladega Superspeedway, NASCAR engaged in the typical post-race inspection. In that process, the NASCAR Playoff cars got through an additional line of inspection. After the race, the media was informed that all cars were clear in post-race technical inspection. From there, multiple cars were taken back to the NASCAR R&D Center. Kyle Larson was not one of those cars taken back to the R&D Center. 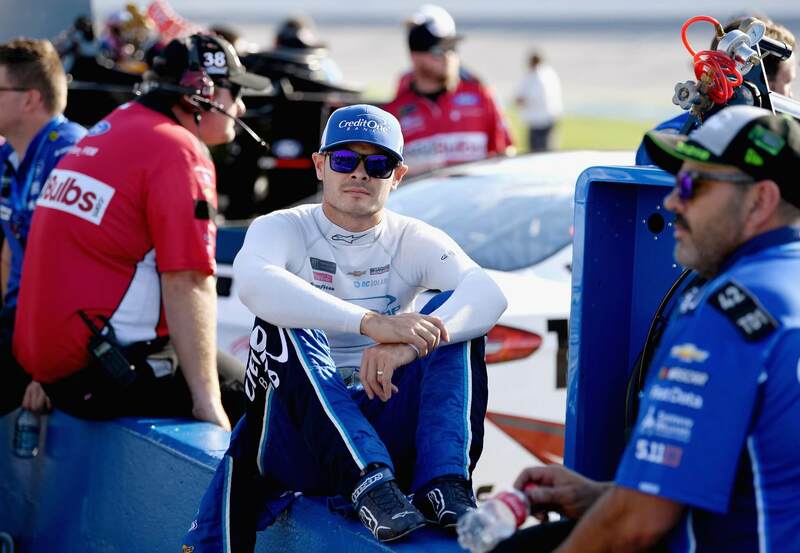 However, an L1 penalty was announced on Kyle Larson in the middle of the week. “What we do is when we finish the at-track inspection we let you all know that it’s clear for the at-track inspection,” Managing director for the Monster Energy NASCAR Cup Series, Richard Buck explained on Saturday at Kansas Speedway. At this point, the time is no longer on the damage vehicle clock. 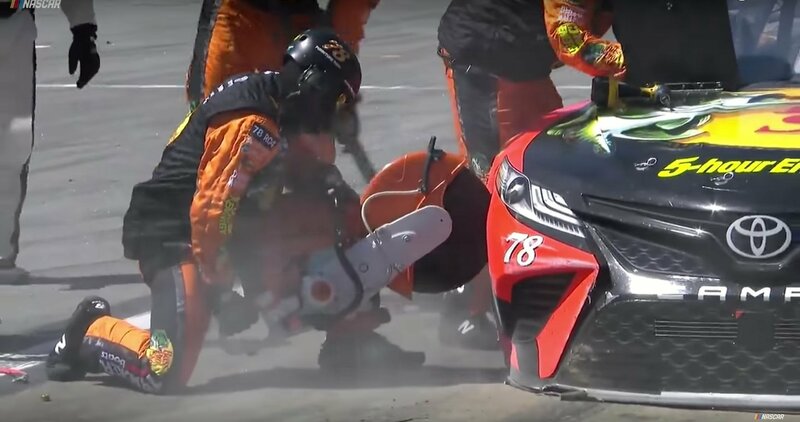 Teams are allowed 6 minutes to make repairs to fix their cars following a crash. They then get three laps to make minimum speed. Larson had already met minimum speed. Why did the part need to be inspected it was a clear violation? What if an official saw them put the tabs on? How would that work? Given the rule is clear, would Larson have to stop on pit road until the part was removed. Would the official make them wait? Why does NASCAR have a damaged vehicle policy? What costs you ask? These teams had frame straighten machines. They had saws. The had a lot of equipment to bring to the race track just in the case of a crash. In addition, they brought the human power to work those machines. Glorified damage specialists were at the race track just to fix cars. That’s a lot of expense just to finish 40 laps down instead of 80. Chip Ganassi Racing appealed that penalty. A rush appeal was held and the penalty was upheld. The team elected to appeal again and take it to the final appeals officer, they failed that appeal as well. Larson lost his car chief following qualifying at Kansas Speedway. Larson would go on to finish 3rd over the weekend. However, he has missed the Round of 8 in the NASCAR Playoffs. Spencer Gallagher, self-proclaimed ‘nerd’ abruptly retired from NASCAR; Going dirt racing?